An online business that ignores keywords and search phrases will surely struggle. The internet is based on information. That information is sorted and organized based on the topic or keywords that best describe the information. When you embrace keywords and search phrases, you’re better able to position your website competitively. Here’s why your keywords and search phrases matter. #1 Search phrases help you achieve good page rankings. When your website shows up on the first page or two of search results, you will get more website visitors. Each website visitor is a potential customer. That means search phrases are directly related to your profits. #2 They help you target specific customers. Appealing to a broad audience can be difficult. There’s a lot of competition. However, when you narrow your focus and target specific keywords and search phrases, you can focus on appealing to a smaller audience. You can be the big fish in a little pond. That often results in more financial success than competing for the other high demand high supply keywords. #3 Keywords and search phrases help you learn about your audience and prospects. Keyword research helps you learn what your audience is looking for. Entering your keywords or keyword phrase into a keyword research tool will generate other relevant keyword phrases. You can use the supply and demand data to learn what your prospects are searching for. #4 Keywords and search phrases help you organize content in an effective and meaningful way. They help you organize your website navigation by tier one, two and three pages. You can use them to create a streamlined navigation system. #5 They help you create content and provide value. Keywords can give you content topics and topic ideas. Simple keyword research will generate potentially hundreds of content ideas. #6 Keywords help you profit through PPC ads. You can target specific keyword phrases and profit from placing PPC ads on your website. They can also help you attract traffic and other advertising or affiliate profits. #7 Keywords help you market and advertise. Finally, keywords and search phrases help you create targeted advertisements. They help you market to your audience. 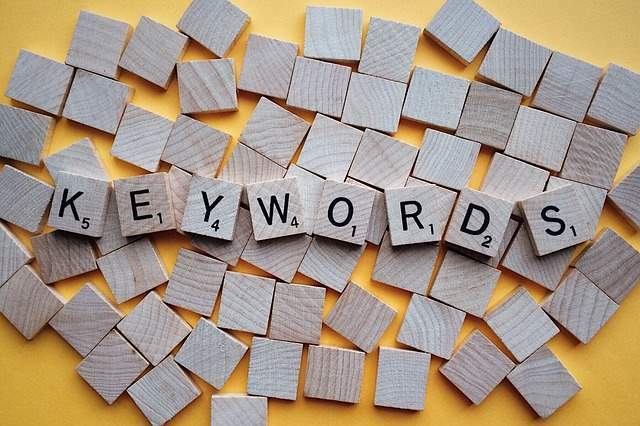 When a PPC ad, for example, contains the keywords it’s targeting, it’s been shown to be more effective than an ad that doesn’t contain keywords.